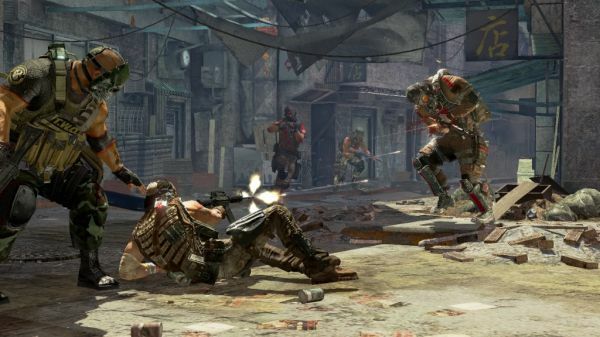 Salem and Rios are ready for action next month in Army of Two: The 40th Day, and we've got the achievements to prove it. There's 34 regular achievements and a few hidden ones, all of which are available in co-op play. We imagine the PlayStation 3 trophies will be similar once they are unveiled. There are some co-op specific achievements to earn - healing your downed comrade, co-op sniping, and a few co-op morality choices. Possibly the best achievement is "Total Fist Bump Destruction" - which you earn for beating the game as best friends. Awww, group hug!